Why do Hindus Prefer Birth Anniversary To Death Commemorations? Being altogether different from the Christian routine with regards to grieving the passing of Jesus Christ (Good Friday), and celebrating the affliction of holy people, or the Shia Muslim routine with regards to grieving the demise of the Prophet’s son in-law’s family (Muharram). Hindus do favor birth anniversary (Jayanti) over death commemorations (Punya tithi). Be that as it may, we can qualify this by saying most Hindu celebrations are in regards to the introduction of a God (Ram’s introduction to the world, Krishna’s introduction to the world, Hanuman’s introduction to the world, Garuda’s introduction to the world) or about the demise of an evil presence (killing of Mahisha by Durga, Ravana by Ram, slaughtering of Naraka by Krishna). Both these occasions, the birth of a divine being and going of an evil spirit, are viewed as bringing out the positives. The purpose behind this is birth is viewed as promising and demise as unfavorable in Hindu perspective. Ramayana is more sacred than Mahabharata, since Ramayana depicts the introduction of Rama, while Mahabharata does not portray the introduction of Krishna. More esteem is placed on Bhagavata Purana where Krishna’s introduction to the world is portrayed. All religions have something like “all spirit’s day” where the living remember the dead. In Hindu dharma, this is the fortnight of “pitr paksha” when customs are performed for the dead. Yet, there is a distinction. The dead in Christianity and Islam are in mythical places, having carried on with their lives in full, waiting for the Final Day of Judgment. The dead in Hindu dharma is waited to resurrect. However, all things considered, relationship with death is disregarded in Hindu conventions. In Islamic and Christian conventions, demise is esteemed thus tombs and graves move toward becoming monuments and landmarks. Generally, in most Hindu people group, no relic of the dead is kept in or around the house. Everything that touches passing was viewed as dirtying and unfavorable. In later Hindu monastic custom, the assortment of dead educators was covered and a Tulsi plant was grown over the grave. Despite the fact that it isn’t worshiped, the place of entombment is thus marked. This practice may have originated from Buddhists. At the point when Muslim lords began building tombs for themselves, numerous Hindu rulers likewise requested that structures and “chhattris” be worked to stamp the spot of their incineration. We discover this practice in Rajasthan. 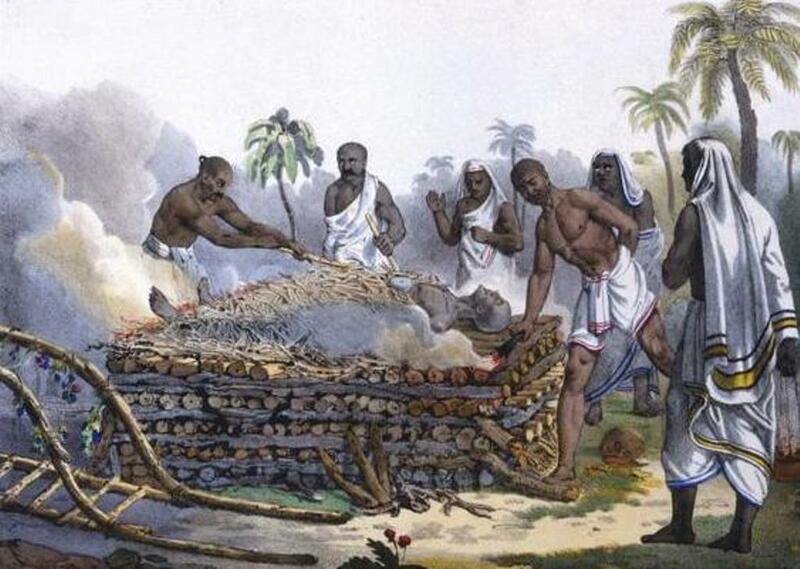 This practice proceeds in present day times, with tombs being worked to stamp the incineration spot of pioneers who were Hindu as on account of Mahatma Gandhi and Indira Gandhi. The grieving of Imam Hussain proceeds in Shia Islam even following 1,400 years of the occasion. The execution of Jesus Christ is instituted by numerous groups even following 2,000 years. On the contrary, Shiva is called “Smarantaka” and “Yamantaka”, destroyer of memory and demise, for that is the thing that frees us, influences us to advance out of history, and find the timeless soul. Why Shouldn’t One Turn Back After Funeral? In Hindu dharma, the memory of death prevents us from growth, astuteness, and freedom. It holds you down. The dread of death makes every single mental adjustment that can only be disentangled by yoga. Demise and dread of death are viewed as ensnaring. Therefore, after a funeral, one is prompted not to turn back and glance back at the crematorium. The past must be overlooked. Death captures us, keeps us from proceeding onward, pushing forward. Birth, resurrection is viewed as great and magnificent.